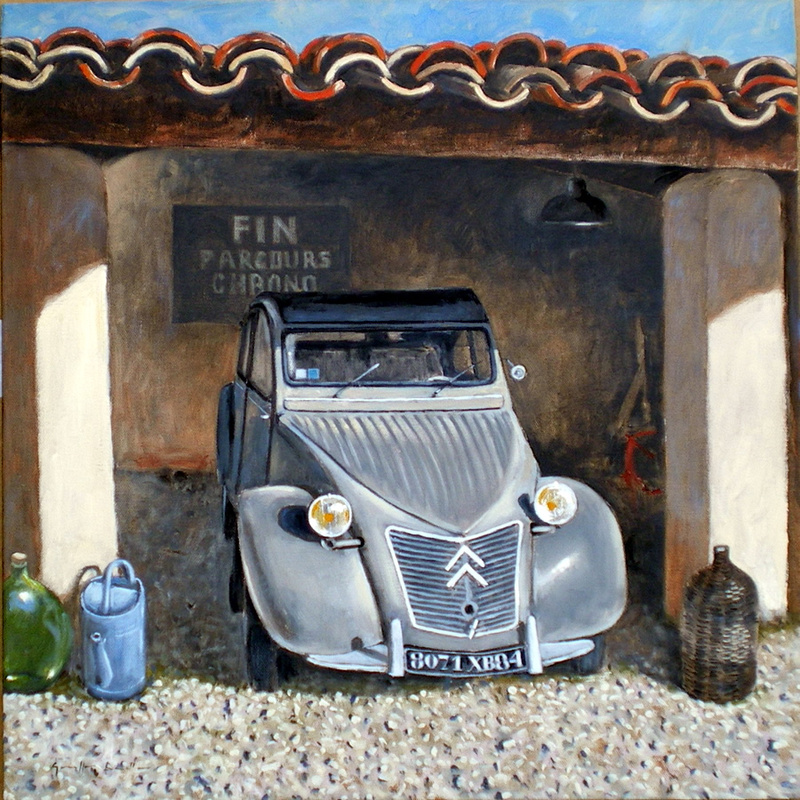 During a visit to Provence in 2008 I stayed at a beautifully restored old provencal farmhouse near Gordes. The owner had done most of the restoration on the property himself and was clearly very careful not to have spoilt the period charm of the building that had matured like a fine old wine! His artistic eye was evident all around with arrangements carefully made of all sorts of interesting vintage things and rustic artefacts know doubt some of which were acquired at the bric-a-brac markets of the region. I sketched and painted numerous �still lifes� around the place which included an ancient water well surrounded with old watering cans and various stone containers planted with flowers. I was particularly drawn towards a Citroen 2CV of I believe the 1950s era which was catching the sunlight from beneath a tiled roof making a perfect subject for a painting.